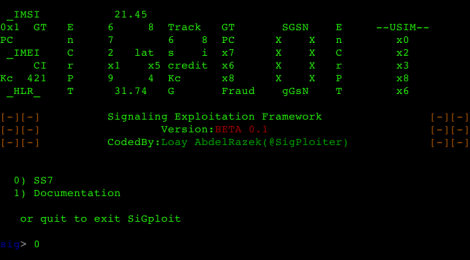 Browse: Home / SiGploit – Telecom Signaling Exploitation Framework. 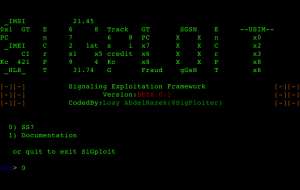 SiGploit – Telecom Signaling Exploitation Framework. 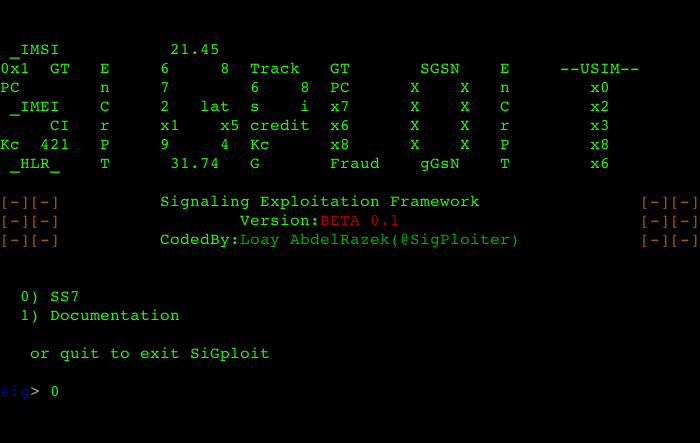 SiGploit a signaling security testing framework dedicated to Telecom Security professionals and reasearchers to pentest and exploit vulnerabilites in the signaling protocols used in mobile operators regardless of the geneartion being in use. SiGploit aims to cover all used protocols used in the operator’s interconnects SS7,GTP (3G), Diameter (4G) or even SIP for IMS and VoLTE infrastrucutres used in the access layer. Recommendations for each vulnerability will be provided to guide the tester and the operator the steps that should be done to enhance their security posture. This phase will focus on the data roaming attacks that occurs on the IPX/GRX interconnects. This phase will focus on the attacks occuring on the LTE roaming interconnects using Diameter as the signaling protocol. This last phase will introduce the reporting feature. A comprehensive report with the tests done along with the recommendations provided for each vulnerability that has been exploited. ← x11 Stack corruption/Access violation [PoC and Fuzzer].